VivaTech is the world’s rendez-vous for startups and leaders to celebrate innovation. It’s a gathering of the world’s brightest minds, talents, and products, from top speakers and exhibitions to open innovation and live experiences, VivaTech is a celebration of today’s innovations and tomorrow’s possibilities for everyone who believes in the power of technology to transform business and society. 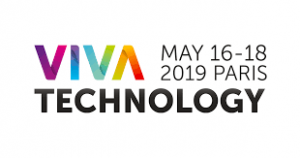 AT&T Business will be part of the Vivatech community for the third consecutive year. Come visit us in Paris, Porte de Versailles, Hall 1, stand D36 and meet our experts on site to learn more about 5G, Digital Transformation, Technology disruption, IoT and much more. Should you already wish to firm up some specific time with our experts on site, please book your appointment here. To see some of the key highlights from our AT&T Summit 2018 – visit https://thesummit.att.com/.